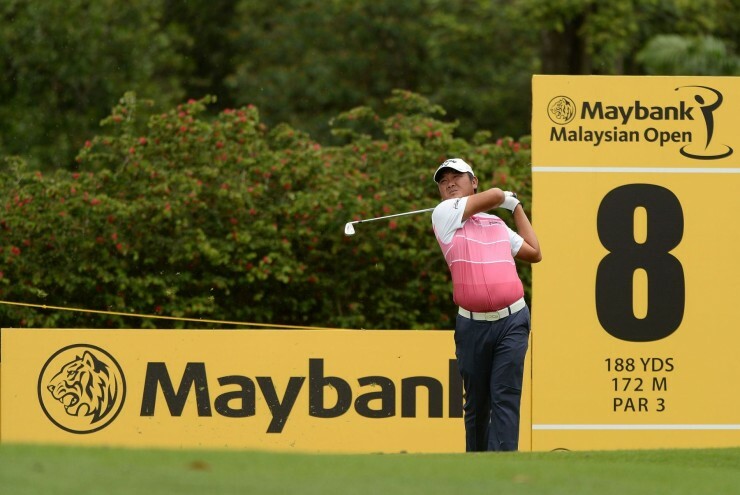 Kuala Lumpur, February 5: Danny Chia rode a hot putter for a barnstorming back nine en route to a five-under-par 67 to trail first round leaders Lee Westwood and Graeme McDowell by one stroke in the first round of the Maybank Malaysian Open on Thursday. The 42-year-old Chia, Malaysia’s first winner on the Asian Tour, nailed four straight birdies from the second hole at the Kuala Lumpur Golf and Country Club’s West course as he raised hopes for a first local winner to emerge since the event’s inauguration in 1962. Countrymen Mohd Iylia Jamil produced a solid 70 in the US$3 million championship sanctioned by the Asian Tour and European Tour to lie further back in tied 16th place while Nicholas Fung battled to a 71. Amateur brothers Galvin and Galven Green shot 74 and 76 respectively. Chia’s superb start was reminiscent of his title charge in the 2008 and 2009 editions where he held the halfway lead before fading in the weekend rounds. But with experience on his side, the 2002 Taiwan Open champion is determined to stay on an even keel as he chases Ryder Cup stars Westwood, the defending champion, and McDowell. Starting from the 10th hole, Chia turned in 36 with two birdies against as many dropped shots before an eight foot birdie on two saw his game catch fire. “The putter got hot and I started making some putts and started to hit better. Maybe the nerves got to me a bit (on the front nine). I got agitated with the way I was hitting the ball but after I made birdie on my 11th hole I started to hit it much better,” said Chia. “I think it’s just experience. I’m not as nervous as before and I think it makes a big difference. It was the mind playing tricks on me (earlier in the round). In the practice rounds, I didn’t hit it well and I was just thinking too much on the mechanics of my swing. I then just told myself to just go out and play golf,”. Young talent Fung, who made his first cut on the West course last year, was running steady on three-under before dropping two late bogeys which he attributed to mental errors. “I made some silly mistakes on seven and eight. On seven, the pin was back left and my caddie told me to go for the middle of the green which would be an easy putt. But I went for it and pushed it so far right that I didn’t have a stance and then I had to make a 15 foot putt for bogey,” said Fung.